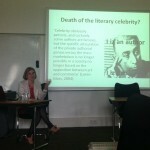 Having missed the previous Authors and the World events in September and November last year, I was delighted to finally be able to join everyone at Lancaster University for the third event Discourse on Literary Celebrity Across Genres Thursday 12th and Friday 13th March, 2015. After a spot of (delicious!) lunch we received a warm welcome from Rebecca Braun, Director of the Authors of the World Project, who introduced the major themes pertaining to literary celebrity that would run throughout the presentations and events over the next two days. During her introduction, Braun asked us to take into account a series of questions which considered literary celebrity in relation to gender, national identity, geographical space and multimedia presentation, which would remain pertinent to the presentations and discussions that followed. We were then ready to hear the first presentation from award-winning author and academic Mary Talbot. 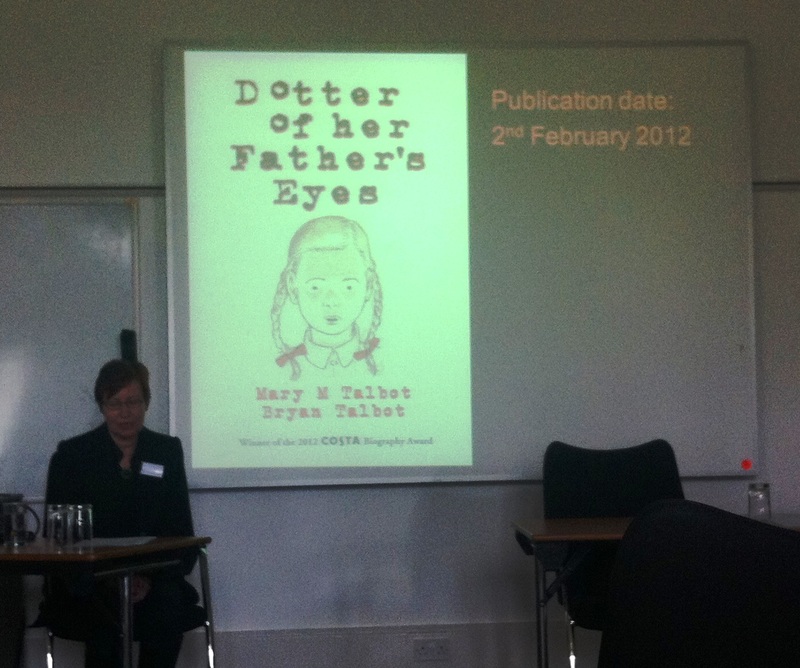 Mary’s paper ‘Dotters, Babbos and a Costa: Reflections on Literary Celebrity and Genre Bending’ offered an absorbing and wide-ranging insight into the production of her recent graphic novels, Dotter of Her Father’s Eyes (2012) and Sally Heathcote: Suffragette (2014). 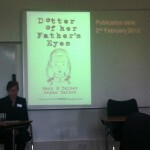 Although a preeminent academic in critical discourse analysis, Mary discussed how winning the Costa Book Award for Biography in 2012 for Dotter of Her Father’s Eyes completely changed her status as an author. Since winning the award Mary and her husband Bryan, who illustrated Dotter and is a celebrated author and illustrator of graphic novels, being referred to as ‘the godfather of the British alternative comic boom’, have been interviewed on radio and television, and attend countless literary events and festivals. 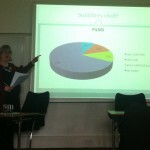 As a researcher of book award culture and a reader of graphic novels, I was utterly captivated by Mary’s presentation. In particular, I was fascinated by Mary’s status as a literary celebrity within a form of literature that is commonly considered to be dominated by men. The second presentation of the day came from Dr. Carol O’Sullivan, Senior Lecturer in Translation Studies at the University of Bristol. Carol’s discussion, entitled ‘Not in My Name? 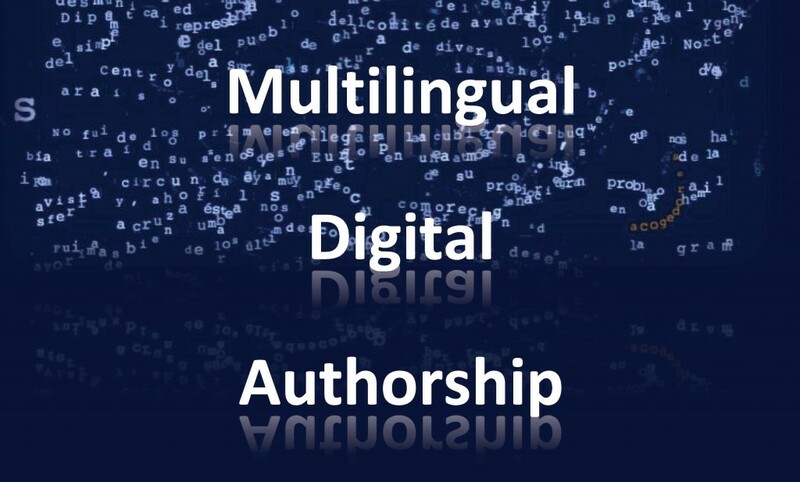 : Attribution of Authorship in Audiovisual Translation’, brought to the fore the significance of audiovisual translation and subtitling in silent and foreign film. 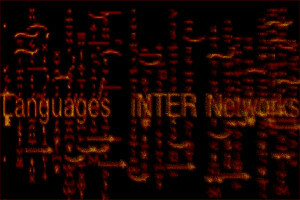 Carol highlighted that not only is this an overlooked and understudied area of translation studies, but she also illustrated that it is often extremely difficult to ascertain the authorial responsibility of many examples of audiovisual translation and subtitles, since the translators and authors of such work frequently go unacknowledged. This presentation also exemplified the importance of the analysis of multimedia texts that combine textual, audio and visual features. 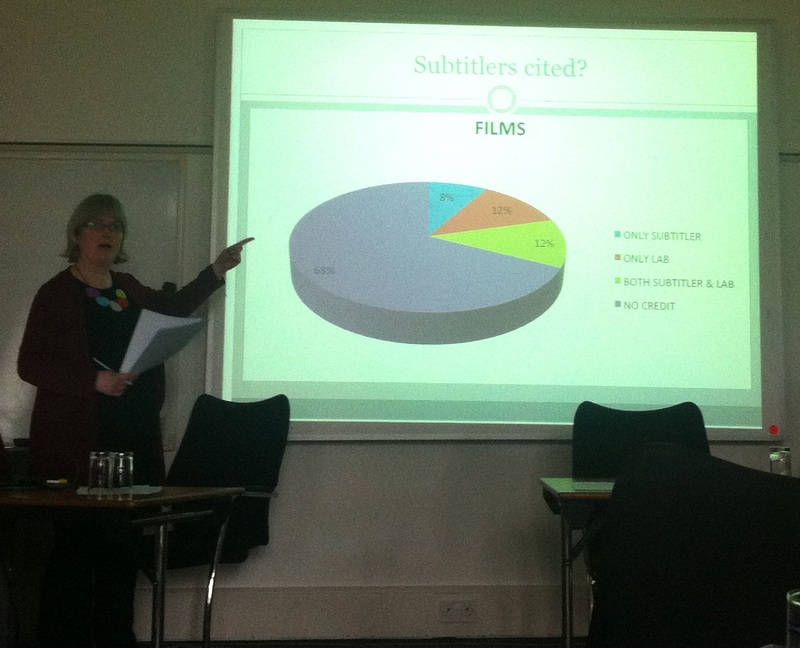 However, Carol is doing exceptional work researching historic and contemporary examples of audiovisual translation in order to develop a more comprehensive appreciation of authorial attribution in relation to this unique area of translation studies. 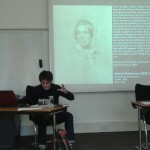 Chris Donaldson on Harriet Martineau. After a quick coffee break, the presentations continued with Dr. Christopher Donaldson’s paper ‘The Lady of the lakes: Harriet Martineau and Victorian Lake District Tourism’. 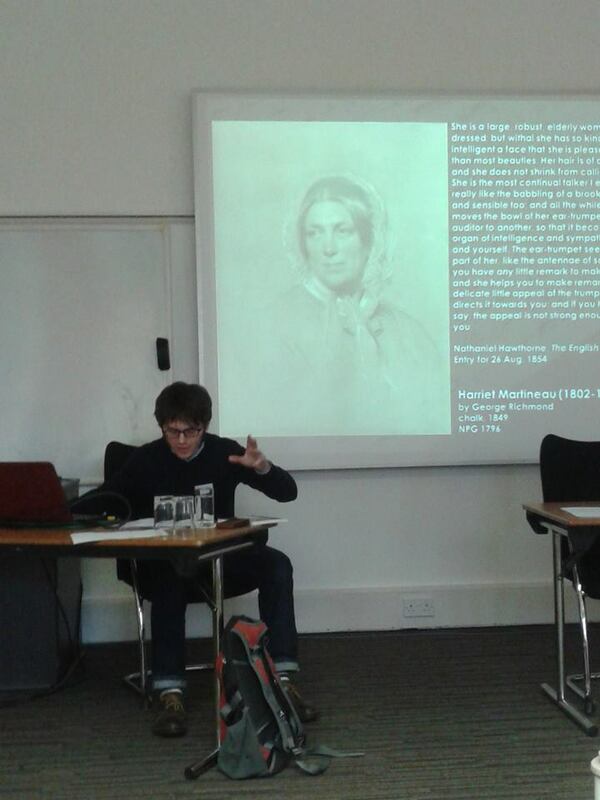 Christopher explained that Harriet Martineau had not only been an incredibly influential nature and travel writer, but had also been a well-known literary celebrity in the mid-19th century. Discussing the relationship between Martineau and her publisher, John Garnett, Christopher noted how later editions of Martineau’s work were edited or added to by Garnett and Martineau’s niece, Maria. As a result, Christopher invited us all to consider the point at which an author’s work can become a product of collaboration rather than a piece entirely attributable to one individual author. I also found some of the contemporaneous descriptions of Martineau that Christopher brought to our attention very revealing! Despite being a prolific and respected writer, descriptions of Martineau frequently focused on her physical appearance, rather than her intellectual prowess, and, unfortunately, such depreciation of women in literature, and wider society, still happens to this day. 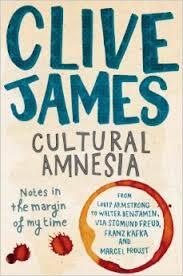 The final presentation came from Dr. Adrian Wilson, whose paper ‘A Literary Celebrity on Celebrity and Amnesia’ focused upon Clive James and his recent publication Cultural Amnesia: Notes in the Margin of My Time (2012). James, Adrian explained, was a unique example of contemporary literary celebrity, being recognised as both a public intellectual and author of fiction, non-fiction and autobiographical work. Much of the conversation surrounding James’ work focused upon his more controversial opinions and writings, leading to the group questioning whether James’s work illustrates how a distinction between the authors’ personal and their authorial voice should be made. Of all the presentations, this was the one I found most challenging as I couldn’t help but feel that the discussions surrounding James’ authorial voice failed to consider the possible influence of publishers and editors in the production of a work like Cultural Amnesia, a volume I feel should be considered as a text constructed around James’ persona as a public intellectual as well as being a product of it. Before adjourning for the evening meal, the delegates and speakers came together to discuss the issues that arose throughout the day’s presentations and how these may relate to wider issues relating to literary celebrity and authorship. 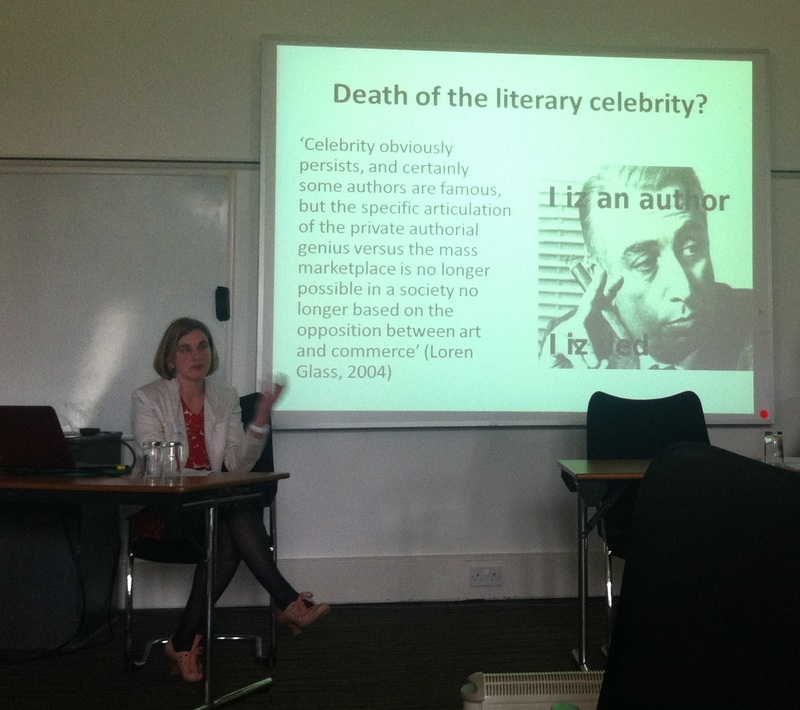 Key topics of debate included the differentiation between ‘celebrity’ and ‘fame’, the ownership of celebrity and whether elements of the creation of celebrity comes from readers’ understandings of literary works, and how literary celebrity is frequently entwined with canonisation. This final discussion was a wonderful way to end the day, giving all attendees an opportunity to share their thoughts on the day’s proceedings. Performers discussing their interpretations of creative writing pieces with their authors. 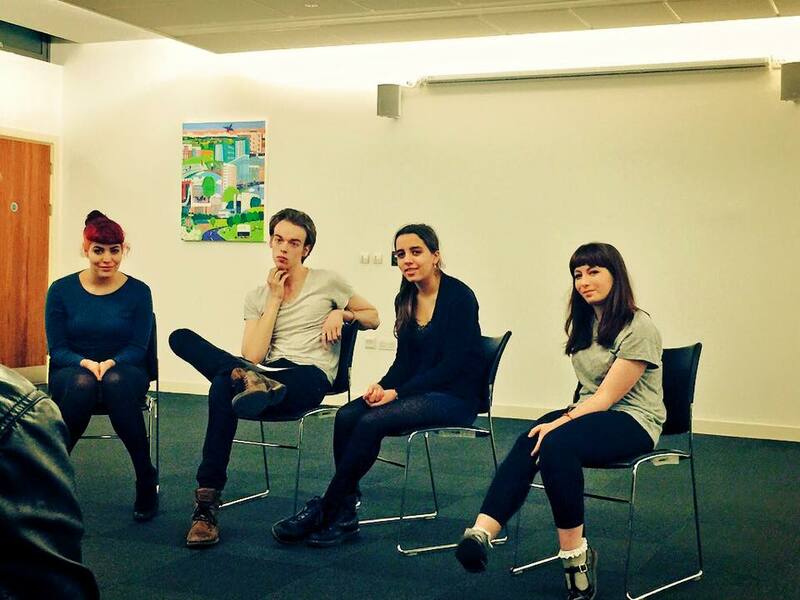 Following the delicious evening meal, we were treated to an intimate performance by students from the Institute for Contemporary Arts performing poetry written by students from Lancaster University Creative Writing Programme. 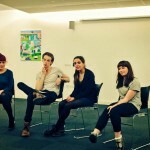 Following the enactment of each poem the writers and performers discussed their interpretations of the work, which was a riveting insight and illustration of how one text can be interpreted in many different ways. After a good night’s sleep, the group were ready and raring to go for the second day of Discourse on Literary Celebrity Across Genres which took the form of a workshop about ‘Authors, Celebrity, Distance and Twitter’. 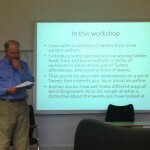 The workshop began with a presentation from Professor Greg Myers who explained how he used Twitter in his research in order to assess language patterns and linguistic affordances. Greg illustrated how Twitter can be used when examining how author’s promote themselves and interact with their readers, and can therefore offer researchers insight into how authors present themselves and maintain their public persona. Following this, Greg set us a task to find an author who tweets or an author who is not on Twitter but is frequently tweeted about. 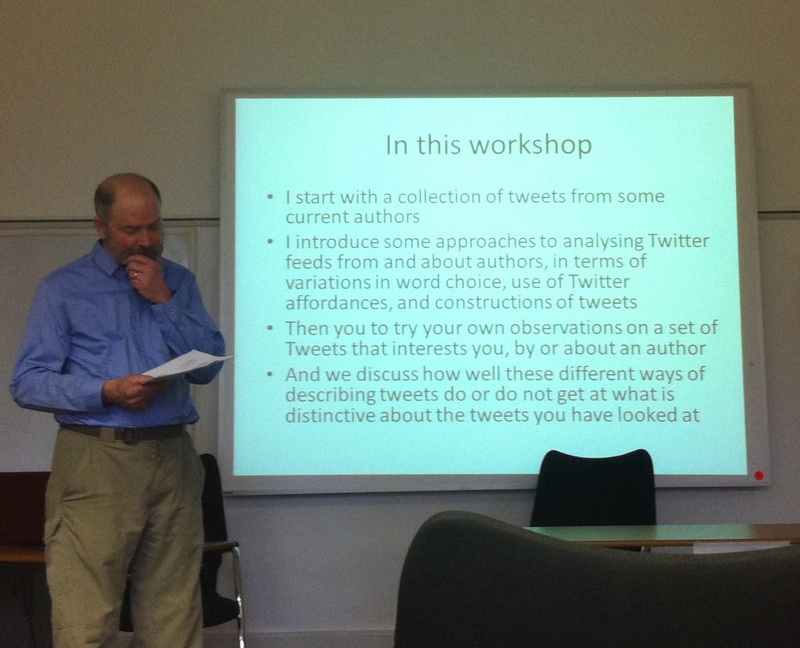 We then had to look at at least 20 tweets from (or about) this author and analyse them, focusing on what the authors tweet about, how frequently they tweet, whether the tweets were re-tweets or tweets to other users and their use of hashtags. 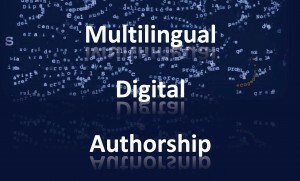 The purpose of this was to determine whether the author’s twitter persona illustrated distinctive stylistic features unique to that author. We then discussed our results in small groups, comparing and contrasting the success of the exercise, before opening the discussion to all participants. 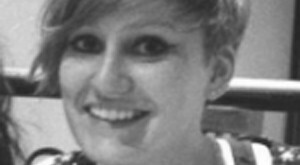 What I found most useful and enlightening about this task was its interdisciplinary nature. As many of the delegates came from very different research backgrounds, some members of the group had not conducted this kind of multimedia exercise before. Therefore, it was fascinating to hear how scholars who had not necessarily considered this research method were considering how it may relate to their own work. This workshop was also a really interesting example of how many of the themes and questions raised during the presentations the day before could be applied to research methodologies. For example, when discussing results, several participants commented that an author’s persona on Twitter was completely different to what they expected having read the author’s published work, thus illustrating the variety of identities literary celebrities can inhabit. Similarly, analyses of author Twitter profiles demonstrated the benefits of digital media for authors, who can promote their books and events online, and readers who can interact with authors despite geographical barriers. Accordingly, this workshop was a fantastic way to bring the event to an end, because it encouraged delegates to put theories surrounding literary celebrity into practice. Having spent two days hearing inspiring research and learning new ways to think about the role and status of author’s in research and society, I was sad to see Discourse on Literary Celebrity Across Genres come to an end. However, I was thrilled to have had the opportunity to take part in an Authors and the World event and meet some brilliant scholars and hear about their exceptional work. 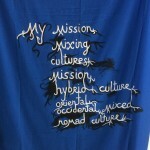 I can’t wait to see what future Authors of the World events have in store!